Titus Kuria grew up in Mathare Valley and has a good understanding of what life is like in the slum. Titus believes that to say life in Mathare is challenging is an understatement. It’s these barriers that he endeavours to alleviate through his contribution and participation in different initiatives so that the upcoming generations could have an easier access to a better future. It’s in this spirit that he founded PaaMoja Initiative – an organization that equips Mathare’s residents with life skills, resources, and most importantly, the opportunity to design and execute programs to give back to their community Titus is also one of the founding leaders of Canada Mathare Education Trust – a charitable organization whose mission is to advance education in Kenya by providing scholarships to needy but bright students from Mathare. He is also a facilitator with JUMP! Foundation – a social enterprise that envisions a world where young people fulfill their true potential as individuals, community leaders, and global citizens. 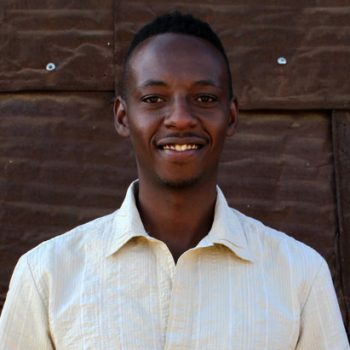 Throughout his community work, Titus has been very fortunate to be involved in a myriad of organizations and programs; he is a fellow of NairoBits School of Digital Design, an alumnus of InWent, recipient of Bayer Young Environmental Envoy award, a member of Action Beyond Limits network, and a former trainer with Sambaza Peace initiative amongst others. Titus enjoys playing and watching football, swimming, wind surfing and spending time with his family.